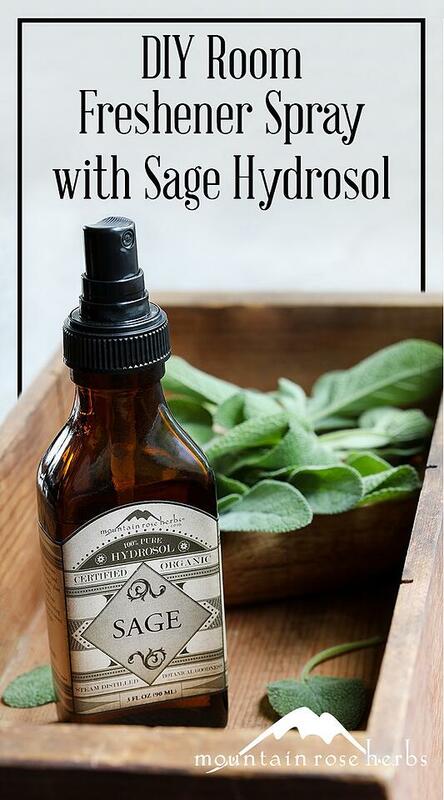 I absolutely love our organic sage hydrosol! This delightful aromatic is water-steam distilled from fresh culinary sage. It is uplifting, energetic, and grounding — all at the same time! It smells a lot like fresh sage leaves and is primarily made up of 1,8-cineole and camphor. 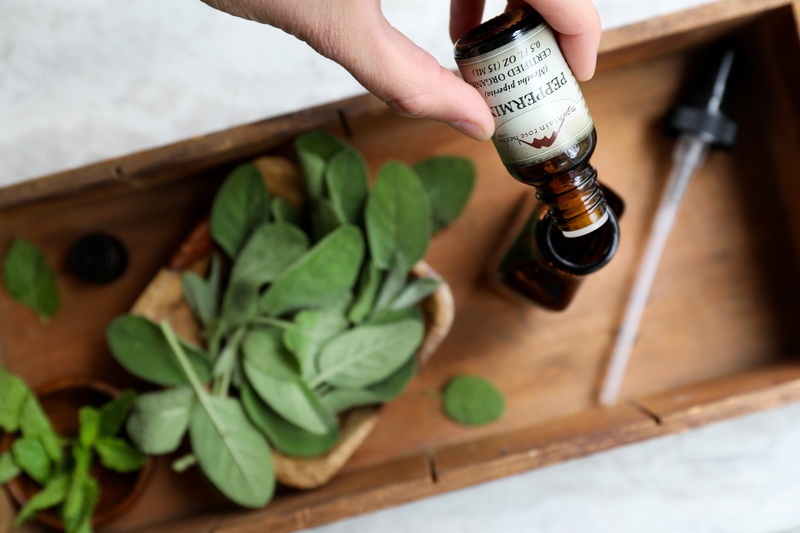 Considered a balancing astringent, organic sage hydrosol makes an excellent base for deodorant sprays and facial toners. It can be used as a single ingredient spray or blended with citrus notes, other culinary spice notes, or herby green notes. Personally, I love blending sage into room sprays and aromatherapy diffuser blends. The room spray below can be used as is or added to a water-based diffuser for more continuous and distributed use. 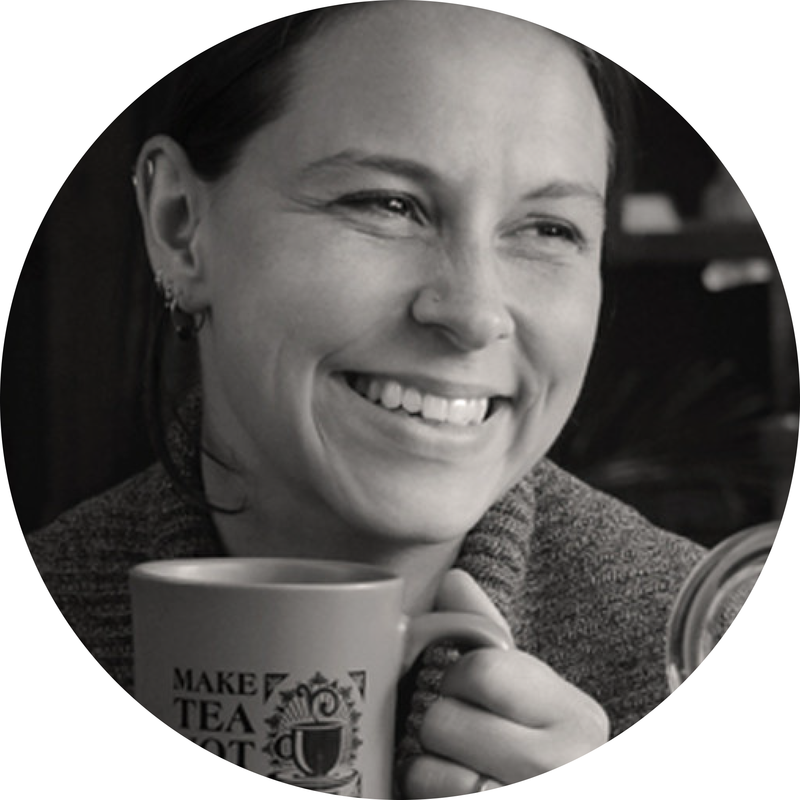 Sage and peppermint are stimulating aromas, so I would not recommend diffusing for more than 30 minutes at a time. This lovely, refreshing aroma blend makes a wonderful room spray and is great to use around the office when you need a focusing pick-me-up. Carefully add essential oils directly to a 3 oz. 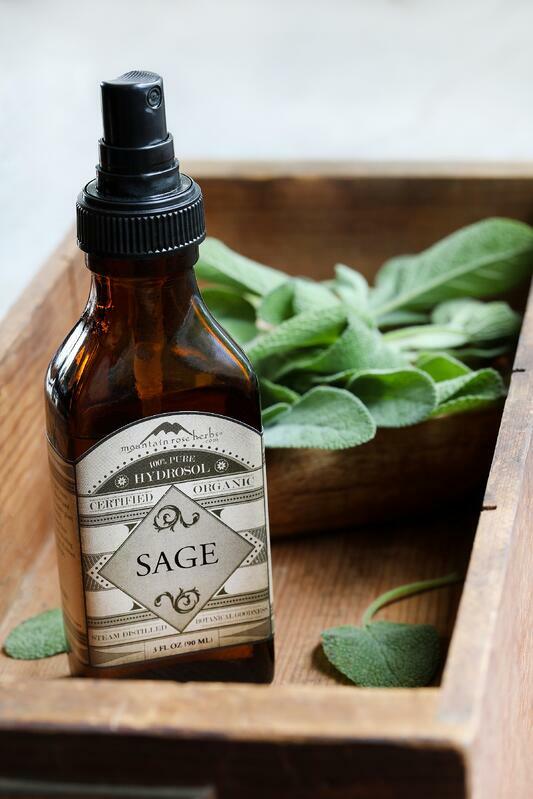 bottle of organic sage hydrosol. Our three ounce size already comes with a mister! Replace lid and mist as needed. Shake well before each use. want more on these aromatic plant waters? Learn How Hydrosols are Made!